Dr. Riedesel is an assistant professor of Radiology in the Pediatric Imaging Section. She received her undergraduate degree at St. Olaf College and completed medical school at the University of Iowa Carver College of Medicine in 2006. Dr. Riedesel completed a full general pediatrics residency here at the University of Wisconsin from 2006-2009. She then completed a diagnostic radiology residency at Maine Medical Center in Portland ME from 2009-2013 followed by fellowship in pediatric radiology at Boston Children's Hospital. Dr. Riedesel is thrilled to return to the University of Wisconsin and the American Family Children's Hospital. 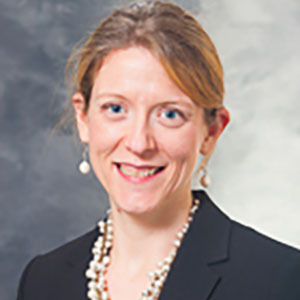 Her academic interests include pediatric body imaging, fetal imaging, and medical education.